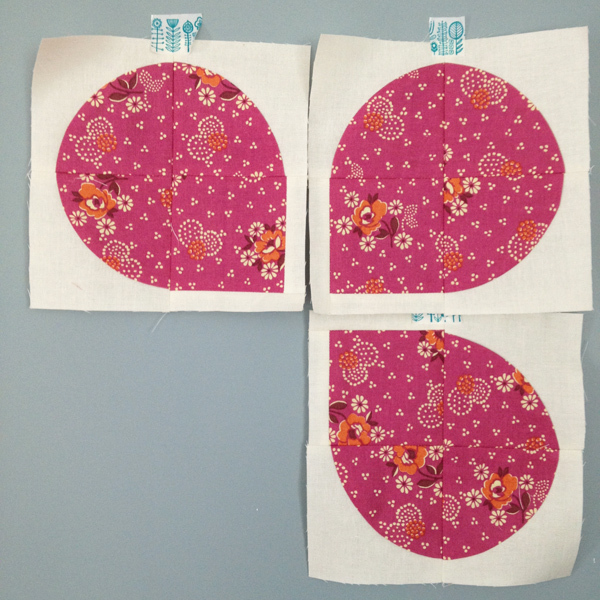 retro flowers – in progress! Yikes, no posts yet this week! We snuck away for a mini vacation, and while the time in the car gave me a great opportunity to sew bindings on a few quilts, the rain didn’t make for good photo opportunities of said quilts! So instead, I thought I’d show you a quilt in progress. You might remember that I pulled out these fabrics ages ago, paired with that great Melody Miller typewriter print. I never got around to making a quilt, but the stack stayed stacked, since I loved the prints together. I realized recently that I had nearly the perfect number of prints for Christina’s beautiful Retro Flowers pattern! I love this pattern, and am really excited to finally get a chance to make one. Christina’s pattern is well written and gives tips to make sewing those curves possible, even for someone like me who hasn’t sewn a lot of curves before. This one is taking a little longer than the quilts I typically make, but I’m enjoying the process! This entry was posted in Fabric, Posts about Quilts and tagged handmade, quilt, Quilt Blocks, retro flowers, the sometimes crafter. Bookmark the permalink. 12 Responses to retro flowers – in progress! it looks great so far ashley! i hope you had a super fun mini vacation! 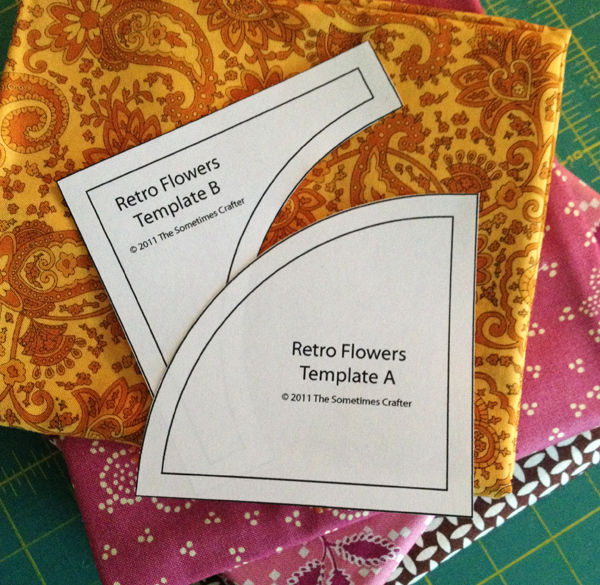 There is actually a Retro Flowers QAL going on right now. Hosted by SweetDieselDesigns and also on Flickr This pattern IS a bit painstaking! I’m still putting mine together, but there are some really pretty fabric combinations coming together during this QAL. I do love the print you have in yours. The FMF make lovely Retro Flowers. LOVE the rounded petals! can’t wait to see the rest! haha wait until you get to the 6th or 7th flower and lets see how enthusiastic you are then! But stick with it, it is totally worth it for the end result :). That pink Hope Valley up there is one of my flowers too. Sweet! Ashley, do you have a page where you talk about equipment that you use? Camera, sewing machine? Am I missing it somewhere? Thanks! Oh my goodness! SO CUTE! How fun to delve into curves!